Voyage Air is accepting applications for the 2019 summer season. We require experienced “Bush Pilots” for the DHC-2 Beaver and Cessna C-185 aircraft on floats. Jobs are based out of Buffalo Narrows, Saskatchewan. 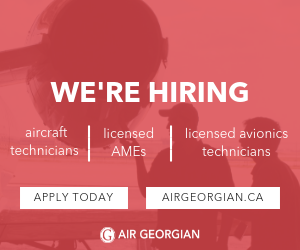 Season begins mid-May and continues full time till mid-Oct. Dockhand position could start earlier for applicants that are interested in aircraft maintenance. Beaver Position requires a minimum of 800 hrs PIC, 50 hrs PIC on type and 300 hrs PIC on floats. C-185 Position requires a minimum of 500 hrs PIC, 25 hrs PIC on type and 150 hrs PIC on floats. Dockhand Position requires valid driver’s license, ability to handle some heavy lifting and long days. A valid Canadian Commercial License with a float endorsement is a definite asset. Wages vary with experience, aircraft type, and assigned duties, actual number of days worked. All pilots are assigned flying and non-flying duties. Some of the non-flying duties include; keeping the aircraft clean, assisting with any required maintenance, organizing and weighing loads and all general tasks required to keep the float base operational. Staff Housing is available, furnished and satellite TV. 1)	Hold a current CPL, Cat 1 Medical, Float endorsed. 2)	Hold all required documents to work legally in Canada for a minimum of 6 months. 4)	Meet or exceed the minimum hours as stated.